“Blockchain movement is not solely a technology, it changes Lithuania‘s economics,” claimed economics and finance analyst Paulius Kunčinas at the conference “The Pillar Unconference 2018“, the biggest blockchain conference in Lithuania’s history, taking place on 16-22 July. In a panel discussion about the future of Lithuania and blockchain, experts asserted that blockchain movement might at least partly solve brain drain issue. Additionally, they claimed that Lithuania does not have electronic voting system due to politicians‘ fear rather than lack of technology, a press release from the conference states. In the panel discussion. P. Kunčinas said that blockchain is not a mere technology but it becomes an industry, and globality is its core strength. "In my opinion, the most significant aspect of blockchain is that it opens opportunities for start-ups. We are the country with complex access to capital. Particularly, we have only 20 years of history as an independent state, and, consequently, we do not have money circulating from earlier periods. Our 'balance sheet' is clean but restricted since, on one hand, we have fiscal constraints, on the other hand, banks in Lithuania are highly conservative", P. Kunčinas stated. Importantly, in one year thanks to ICO Lithuania's start-ups have attracted more investments than in the last ten years through traditional financial means. In the international ICO market, Lithuania is seen as one of the leading countries, and this notion changes the whole economic system in the country. According to the analyst, since Lithuania is a small state with only 2.8 million people, a creation of new appealing jobs is crucial. Otherwise, talented people will continue to emigrate to other countries. In this context, Blockchain offers huge opportunities to attract those emigrated talents to come back to Lithuania. Yossi Dan, the founder of 3iCampus international school of innovation, says that there is nothing better than getting to know the community where you belong. This is why the society is moving towards the trust economy, and blockchain technology might significantly contribute to this shift. Y. Dan expands on this idea giving one of the most well-known examples, namely, Digi-Tel project. It has recently launched a version, which was created by collaborating with parents and Tel Aviv municipality. The aim of the project was to create a map of special activities which would meet children's needs. "This project is a card of a Tel Aviv resident. It enables parents to register their children in the kindergartens, to book appointments with/at the doctors' or do other child-care-related activities. The project was highly successful and we can see that technologies in this case can significantly help those families which live in big cities and struggle to keep a healthy work and life balance," said Y. Dan. Although for twelve years Estonia has been the only country in the world allowing its citizens to vote electronically, Lithuania is conspicuous regarding its mobile authentication for digital certificates. In a panel discussion, J. Udris highlighted that digital certification using SIM card is the future. He asserted that Lithuania still does not have the electronic voting system not because it lacks technological capacity but because Lithuanian society is not prepared to use electronic systems on a large scale. "Secure elections determine society's trust in the government while trust in the elections stems from trust in voters. So, in order to have trust in the elections, a citizen first should understand how they work. For instance, Germany's Constitutional Court has recently legitimised online voting. However, implementation of the latter was ineffective since that technology was intelligible only for a particular group in the society," J. Udris said. According to him, discussions about online voting are surrounded by false stereotypes, while the traditional voting system with ballot papers is much more comprehensible for the majority of Lithuanians. By putting ballot papers in ballot boxes, people feel like being a part of a voting process. 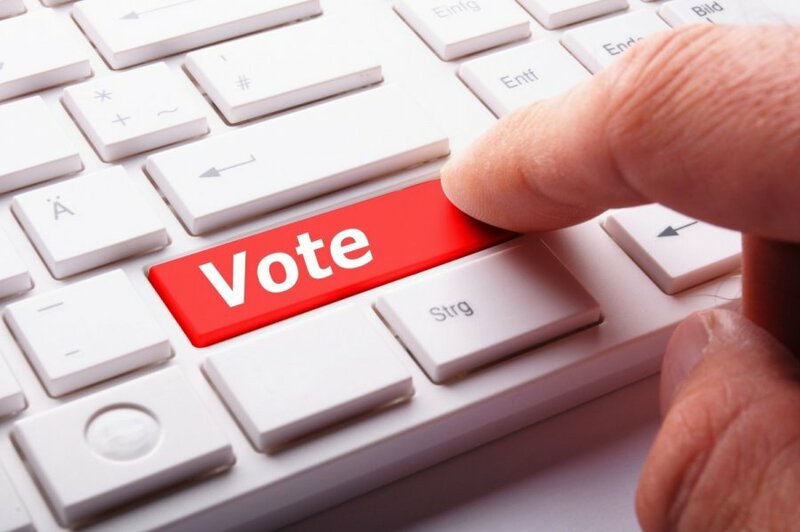 The expert claims that blockchain technology might help in the creation of a decentralised voting system, a vote counting and result consolidation app, allowing citizens to participate in and contribute to the elections process. During the panel discussion, P. Kunčinas also noticed that many activities in Lithuania are fragmented. "Today we have the Bank of Lithuania and its blockchain project called Sand Box, which should be launched next year. Additionally, we have the Ministry of Finances and other institutions, which do not share information among themselves. Moreover, it seems that everyone is creating separate programmes and there are very little efforts to integrate knowledge and skills. This kind of situation in such a small country as Lithuania can have detrimental consequences," P. Kunčinas stated. As he claimed, Estonia has made huge investments in creating its‚ digital country' status whereas Lithuania has not implemented electronic voting not because Lithuanians lack comprehension and resources but because of its politics. "For example, in Lithuania, politicians do not want electronic voting to be installed as this would empower Lithuanian diaspora to be more actively engaged in politics. This, in turn, would change the dynamics of polital life in Lithuania. Currently, Lithuanian politicians are focused on reaching out those citizens living in regions, especially in poor areas," P. Kunčinas said. According to him, in order to change this situation, Lithuanians should act as a community and engage themselves in educational activities. Politicians notice that technologies attract great public attention and that they are economically compelling. However, the technologies sector has been still struggling with the natural bureaucratic resistance. On the other hand, P. Kunčinas notes some positive changes. Namely, the Bank of Lithuania is one of the leaders, developing the Sand Box project. „As blockchain is a continuation of fintech, the Bank of Lithuania aims at creating a competitive environment in the financial market. The government is very positive towards Sand Box and this is the good news," the analyst claimed. Talking about the challenges the blockchain market experiences, Y. Dan shared his thought that this particular market lacks success stories, which would boost trust in blockchain technology. For instance, in Lithuania authentication system based on SIM card usage could become such a success story. In addition, Y. Dan mentioned that those technology-based projects, which have empowered city inhabitants to participate in cities development, are extremely successful as well. As Y. Dan stated, more opportunities should be offered to younger generations which might beneficially contribute to society's progress. All participants in the panel discussion agreed that the government should stop blocking innovative ideas, and, instead, it should embrace technologies and experiments.